The Canadian Green Building Awards recognize excellence in the design and execution of Canadian residential and non-residential buildings of all types, including new construction, existing buildings, renovations and interior design projects. Entry kits are now available for the 2016 Canadian Green Building Awards, a joint program of Sustainable Architecture & Building (SABMag)/ecoHouse Canada, and the Canada Green Building Council (CaGBC). Winning projects will be published in the Summer issues of SABMag and ecoHouse Canada, and on websites www.sabmagazine.com, and www.ecohome.net. The Awards accepts all types of projects: commercial/institutional/industrial and housing (includes Part 9 construction), both new, renovated and fit ups. Awards will be given at the national level and regional level for BC, Prairies, Ontario, Quebec and Atlantic. Deadline to receive submissions is March 4; judging is March 11. Winning entries will be announced at the CaGBC National Conference in Toronto on June 6. Register on the SABMag website to receive your Entry Kit. A modest fee is required only if you submit a project. All projects submitted will be considered for publishing in SABMag/ecoHouse Canada. For more information contact Don Griffith at dgriffith@sabmagazine.com or 1-800-520-6281, x304. The British Columbia Society of Landscape Architects (BCSLA) is calling for presentations and papers for the 2016 Conference, Showcase and Annual General Meeting. The goal of this year’s conference is to examine the influence water has in all aspects of our lives and landscapes and the potential consequences climate change will have in our relationship with, reaction to, and management of water in our landscapes. Growing demands for water and the ramifications of climate change are having great influence on our relationships with, access to, and use of water in our lives and landscapes. Last year’s water use restrictions in many BC urban areas, with projected tighter restrictions this year, are but one example of the shifting circumstances that landscape architects and other professionals, need to consider in the planning, development, and maintenance of projects, infrastructure, and landscapes. Rising sea levels, floods, drought, shifting weather patterns, depletion of aquifers, increased demand and waste (treatment), competition and/or conflict for access to water, can influence settlement patterns, infrastructure development, industry, commerce, recreation, tourism, disaster preparedness and response…all aspects of our lives. What are we doing now and what are we preparing to do? What is particular to your area and why? What is new and innovative in planning, managing and designing for water? What role does the landscape architect have in this pervasive issue? How will this affect the profession of landscape architecture? The BCSLA Annual Conference is an opportunity for design professionals, practitioners, and key stakeholders, from the public and private sector, academia, and the community to come together to share ideas and projects. We invite all BCSLA Members, allied professionals, and interested practitioners to submit abstracts for papers, presentations, panels, and/or designs related to the Conference theme. Priority will be given to those proposals which address the conference theme and goals. Please refer to the Call For Papers for key dates and the BCSLA website for further information. ArtsBC and Heritage BC are inviting presentation proposals for the conference “PlaceMaking: Where Arts and Heritage Collide” taking place May 5-7, 2016 at Granville Island, Vancouver. Deadline for submissions is February 15, 2016. The conference will focus on a series of themes and topics including: Building Places for the Arts and Heritage; Contesting and Caring for Places; New Frontiers and Collisions; Organizational Capacity and Partnership Building. Presentation formats can include traditional presentations (15-30 minutes); conference session or roundtable (90 minutes), and workshops (90 minutes). For more information, visit the Heritage BC website. The City of Vancouver is now accepting submissions for the 2016 Urban Design Awards, which celebrate projects that demonstrate excellence in architecture and design and contribute to creating a vibrant, livable city. To be eligible for the Urban Design Awards, projects must be located within the city of Vancouver; completed (with an occupancy permit) after January 1, 2012; entered by the project owner or a project team member; and not have previously won a City of Vancouver Urban Design Award. The deadline for entries is February 15, 2016. To submit a project or for more information visit vancouver.ca/design-awards. The awards will be selected by an independent jury and recipients will be honoured at a ceremony in May 2016. The Vancouver Urban Design Awards were first presented in 2014, and are presented every other year to recognize entries and winners. For questions relating to the awards program or your submission please email rsvpawards@vancouver.ca or contact Jane Bateman at 604-873-7936. Be a vital part of Banff Session 2016! Contribute to the professions of architecture and interior design by submitting a presentation that will incite thought and spark discussion. The Banff Session, held at the Banff Springs Hotel, is one of the most prestigious bi-annual gathering of architects and design professional in Alberta. The people, the ideas, the environment, the setting – it all comes together for an unforgettable experience that comes every two years. The Alberta Association of Architects invites you to consider being a part of the event by making a presentation. Visit the AAA website for more information on the Call for Presenters. Proposals must be submitted to Jenine Cerny, Communications Senior Manager, at events@aaa.ab.ca no later than 4 p.m. on January 4, 2016. Cool Gardens is pleased to announce the Call for Entries for the international 2016 competition! Deadline to register is December 21, 2015. Presented by StorefrontMB and The Forks, Cool Gardens is a public exhibition of contemporary garden and art installations. The exhibition takes place in Winnipeg, with a satellite in Brandon, from June 23 until September 25, 2016. Cool Gardens aims to bring architects, designers, landscape architects, and artists together to challenge and celebrate the interface between urbanism, landscape, and design. The exhibit of cutting-edge garden designs places design culture at the centre of summer activities in Winnipeg, and at the same time, offers a pleasant relief from the summer exasperations. Four new installations will be selected by competition. For more information, visit the Cool Gardens website at www.coolgardens.ca. The deadline for nominations is Monday, January 11, 2016. Heritage BC is now accepting nominations for its 35th Annual Awards Program. Heritage BC’s Annual Awards Program recognizes the outstanding and significant achievements in heritage conservation of individuals, organizations, groups, businesses, and governments in communities across B.C. There are four categories for Heritage BC Awards: Heritage Conservation; Heritage Education and Awareness; Heritage Planning and Management; Ruby Nobbs Volunteer Award. Nominations for all categories can be submitted through Heritage BC’s website. Nominations will be accepted until the end of the day December 18, 2015. To submit an awards nomination, visit the Heritage BC website. The Wood WORKS! Wood Design Awards recognize leadership and innovation in wood use and continued excellence in the building and design community. This annual event celebrates innovative structural and architectural uses of wood and provides an opportunity for architects, engineers, building designers, builders and project owners to showcase their projects. There is no fee required to nominate a project. Nominations are accepted in up to two categories and self-nominations are encouraged. Projects must have been completed in the past three years i.e. since December 18, 2012 and may not be resubmitted to win a second time in the same category. To submit a nomination, visit the Wood WORKS! website. For more information, contact Zena Caul at zcaul@wood-works.ca or 1-877-929-9663 ext. 4. The Wood Design Awards invites entries to the 2015 program, the only North American program honouring excellence in wood architecture. Entries should consist of building projects that show a wide range of wood product applications and demonstrate an understanding of the special qualities of wood, such as strength, durability, beauty and cost-effectiveness. All projects completed in the period between January 1, 2010 and September 15, 2015 are eligible for entry (except previous winning projects of the Wood Design & Building Awards). A jury of prominent architects from Canada and the U.S. will review all entries based on various considerations such as creativity, distinctive and appropriate uses of wood materials, ability to satisfy clients’ building and site requirements, and overall aesthetic appeal for the use and application of wood. For more information, contact Ioana Lazea or Natalie Tarini at 613-747-5544 ext. 227 or 225. Visit the Canadian Wood Council website for details and to submit your entry. RAIC | Architecture Canada and the Canada Council for the Arts (CCA) are pleased to invite architects to participate in the competition for the 2016 Governor General’s Medals in Architecture. The RAIC, with the RAIC College of Fellows, is proud to organize and administer the competition. The Canada Council for the Arts is responsible for selecting and administering the peer assessment committee. The deadline for submission is December 3, 2015 by 4 p.m.
For complete details including eligibility, procedures for entry and fees, visit the RAIC website. The Northwest Territories Association of Architects invites all professional and amateur photographers to submit architecture-themed photos for a chance to win cash prizes. Photos of architectural subjects within the NWT, Yukon and Nunavut may be entered into one of three categories: Public Spaces, Architecture, and Interior Architecture. Subjects may be new or old structures and spaces, and additions and restorations of existing structures. Subjects must be located within the three territories. For complete details, including eligibility & criteria, submission requirements, and available prizes, visit www.nwtaa.ca or call (867) 766-4216. The Northwest Territories Association of Architects invites all owners, architects and other professionals and stakeholders to submit their building projects as part of its inaugural Architectural Awards. Past, present and ongoing Northern projects may be entered into one of three categories: Public Spaces, Interior Architecture and Architecture. Eligible entries will be judged by a guest jury, and may be published in a book celebrating Northern architecture. For complete details, including eligibility, criteria, submission requirements, prizes and outcomes, visit www.nwtaa.ca or call (867) 766-4216. If you love architecture, this is one auction you won’t want to miss! The Metro Vancouver Chapter of the RAIC is proud to launch the first Art by Architects (AxA) Auction, a group exhibition and fundraising event that celebrates the artistic talent of emerging and established architects and designers to raise money for charity. AxA is an art exhibition and charitable auction showcasing original 10″x10″x1.5” works on unframed wood panels. This year’s theme is “archKIDecture”. Artists will get creative and interpret the theme through various forms of media. Save the date! An opening reception, held at the AIBC Gallery (100-440 Cambie Street, Vancouver) on September 17, 2015, at 5:30 p.m. will kick off the event. All artwork will remain on display until November 5, 2015! Artists are encouraged to participate in this worthwhile event, as it is an important fundraiser for Architecture for Kids. 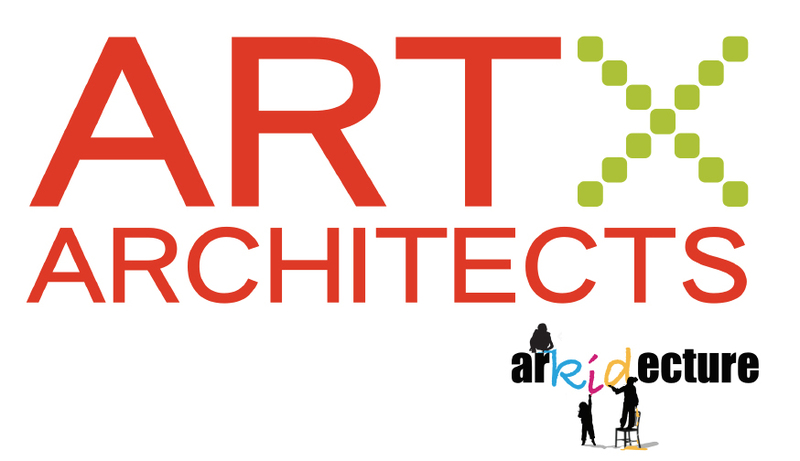 Architecture for Kids, in partnership with the North Vancouver Artists for Kids Trust and RAIC Metro Vancouver Chapter, brings together local architects and K-12 students. The students, through hands-on studios, learn more about the power of architecture and the elements that make it an asset to our communities. Art by Architects is supported by the Architectural Institute of British Columbia and Opus. Read the Call for Submissions and to download an entry form.